Hint: Don’t miss new codes I63.81 and I63.89. CMS recently published its list of new ICD-10 2019 codes, but they won’t go into effect until Oct. 1, 2018. Although there were minimal ICD-10 2019 revisions and additions regarding cardiology, it’s always best to review these changes every year, says Christina Neighbors, MA, CPC, CCC, Coding Quality Auditor for Conifer Health Solutions, Coding Quality & Education Department, and member of AAPC’s Certified Cardiology Coder steering committee. Read on to learn how these 280 new codes and 170 revisions can impact your cardiology practice’s bottom line. I63.81 (Other cerebral infarction due to occlusion or stenosis of small artery). This code will also include lacunar infarction. Don’t miss: An instructional note under category I63- tells you to report an additional code, if applicable, to identify status post administration of tPA (rtPA) in a different facility with the last 24 hours prior to the patient’s admission to the current facility (Z92.82). Also, if applicable, you should report an additional code to indicate the patient’s National Institutes of Health Stroke Scale (NIHSS) score (R29.7-). I63.343 (Cerebral infarction due to thrombosis of bilateral cerebellar arteries). Notice that that word “due” has been added to the code descriptors. Category I67- (Other cerebrovascular diseases) will add the new subcategory I67.85- (Hereditary cerebrovascular diseases) to your coding arsenal. Under that subcategory, you will find the following new codes. I67.850 (Cerebral autosomal dominant arteriopathy with subcortical infarcts and leukoencephalopathy). This diagnosis will also include CADASIL. I67.858 (Other hereditary cerebrovascular disease). 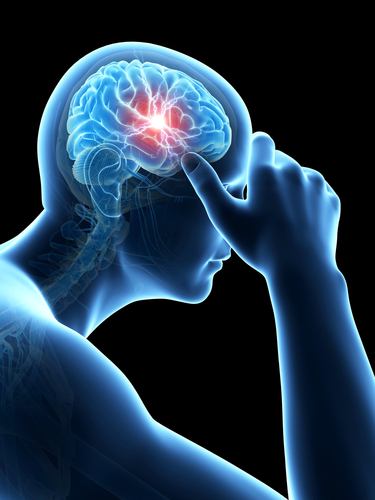 Don’t miss: Under I67.850 (Other cerebrovascular diseases) there is a new “code also” note that instructs you to also report any associated diagnoses such as epilepsy and recurrent seizures (G40.-); cerebral infarction (I63.-); and vascular dementia (F01.-). Coding note revisions: Make sure you also carefully look at revisions to any coding notes. For example, for categories I60- (Nontraumatic subarachnoid hemorrhage) through I69- (Sequelae of cerebrovascular disease), there is a slight change to the note “use additional code to identify the presence of hypertension (I10, Essential primary hypertension) through I15, Secondary hypertension).” The revised note adds I16- (Hypertensive crisis) so now the range is I10- through I16-. Revisions: Once again, don’t blink or you will miss this minor change in an Excludes1 note for I77.6- (Arteritis, unspecified). In the Excludes1 note, “M31.5., M31.6” will be revised to “M31.5, M31.6”. As you can see, ICD-10 2019 deletes the period between the “5” and the comma.